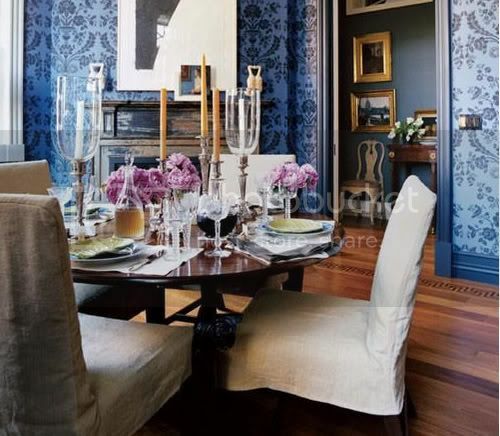 Mmm... rich regal blues and dusty antique browns, phowr, a massive love of mine. I have folders and folders filled with these combinations but these two images really stand out to me. Circular dinning tables, layered candles, fresh accessories, and then the outfit post via BeBeZ on Lookbook.nu perfectly reflects this. Gosh I've got so many fabulous interior designers and architects bookmarked. Right now I'm saving like hell for a deposit on a gorgeous apartment to design and put my stamp on.